Lindblad Expeditions will build “at least” two new cruise ships, according to an investor call on Tuesday to announce the details of the merger between the line and Capitol Acquisition Corp. II, a public investment vehicle formed for the purpose of effecting a merger, acquisition or similar business combination. The merger is valued at approximately $439 million. The combined company intends to be listed on the NASDAQ and will be renamed Lindblad Expeditions Holdings, Inc. following completion of the merger. "We are excited to partner with Capitol Acquisition Corp. II in a transaction that will position Lindblad to move into a new phase in our history and pursue future growth opportunities as a public company," said Sven-Olof Lindblad. "The additional resources and strong balance sheet will allow us to meet increasing guest demand by expanding our fleet with new vessels and opportunistically seeking accretive strategic acquisitions." Up to $110 million of cash raised will be available to fund the expansion of the fleet. Delivery of the new ships is scheduled already for 2017 and 2018 and a shipyard contract is due to follow relatively soon after the transaction closes, which should happen by May. The company will keep its long-established National Geographic partnership, which has been renewed through 2025. "We are thrilled to extend our important partnership with Lindblad Expeditions and support this transaction that will enable Lindblad and our joint offerings to significantly grow in the future. The relationship is based on shared core values which go to the core of National Geographic's mission to promote the power of exploration, science and storytelling to change the world," said Gary E. Knell, President and CEO, National Geographic Society. 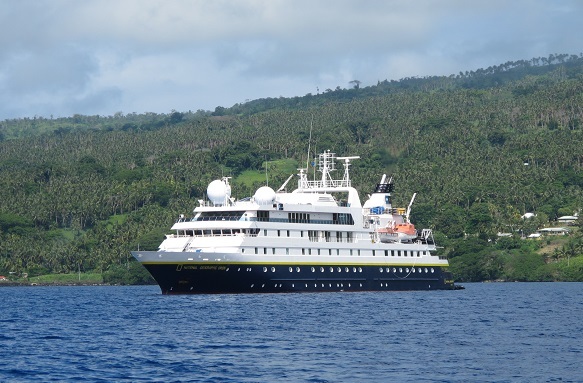 New York-based Lindblad currently owns six of its ships and operates an additional four vessels on charter agreements.